This week’s post comes from my friend, Rob Haines in Oregon (USA). Rob is currently a curriculum designer and ESL instructor for a program serving low-income scholars and community leaders from Latin America and Haiti in Oregon. He has an MSc TESOL from Aston University (UK), and co-moderates the Dogme discussion list where he periodically posts descriptions of his materials-light, learner-centred classes. Rob kindly contributed the following post, where he starts by asking: Is homework really necessary? “If the lessons – whether they are once a week, once a day, or more frequent than that – are the only occasions on which students are engaged with the language, progress will either not occur or be exceedingly slow. The students’ minds must occupy themselves with the language between lessons as well as in lessons, if improvements are to happen” (ibid.). What sort of tasks are best? Assuming you are not obligated to assign specific tasks, the kind of homework you set is probably up to you. As if by default, homework often becomes the set of exercises at the end of a course book unit. Understandably, busy teachers might tend to rely on prefabricated assignments for homework. But saving time this way all too often fails to connect what happens in class with students’ lives in ‘the real world’. Rather than reaching for a course book or a ready-made handout, a better resource might be the learners themselves. Working within the parameters of your context, while respecting learners’ attitudes towards the role of the teacher, you can facilitate, organize, and coax as necessary to involve learners in the design and execution of homework tasks. Discourage learners from simply copying information off the Internet by setting tasks that are highly personalized, such as preparing a presentation about their families, making a list of their favorite foods, describing the flat, house or dormitory where they live, etc. If you’d like to come up with your own tasks, Steve Darn, over at the British Council Web site http://www.teachingenglish.org.uk/think/articles/homework, lists a set of principles to guide teachers through the process of creating meaningful tasks beyond the classroom. Considering how research underscores the need for social interaction and engagement with our immediate surroundings, homework that affords language learners opportunities to explore and investigate English (or any other target language) through meaningful tasks are likely to be most effective and enjoyable for all. van Lier, L. 1996. Interaction in the Language Curriculum: Awareness, Autonomy, & Authenticity. London: Harlow. Homework is an opportunity to use the language outside of the classroom. For many students, they don’t get much chance to apply the language in a real-life environment. For instance, many students may have children at home and it might not always occur to them to do a bit of English with their kids after dinner. Homework provides a good opportunity for this. Secondly, it is a chance to practise writing. Class time is valuable and may be one of the few chances students get to speak. Writing is an important skill but one which is much easier to do on your own, while speaking can’t really be done by yourself. I always discourage teachers from doing writing tasks in class because you can feel the time ebbing away and you can feel the students being cheated somewhat. If you ask any keen student what they would like more of, they will almost always tell you the same thing: more time with the teacher. So I feel that prolonged amounts of writing and reading in class are a bit wasteful and unfair. I think homework is best used as a way to build critical thinking and research skills so that students gather information to form the basis for some sort of performance in the next class. Accordingly the teacher should give great emphasis to homework by frequently referring to it and spending plenty of time assigning and priming it and stressing that the homework is in some ways more important than the class itself. By doing this the students feel there is something at stake and so they take it seriously. I would generally agree on all three points. Your post reminds me that learners in an ESL environment are often at an advantage in that they are surrounded by the language they are expected/wish/must learn. This can make it less challenging for us teachers to set meaningful tasks and more motivating for learners to complete them. For example, many of my students feel comfortable practicing and learning English through interaction with their younger ‘host siblings’ (while living with host families). Homework could then be asking students to find a conversation partner at home and chat, or gather some information, for at least fifteen minutes, then report back to the class in some form (a written summary, an oral Q&A, etc.) In an EFL environment, depending, such tasks could prove more challenging. Ideally, as I’m sure you know, all three of the important aspects of homework you’ve addressed are integrated into a single task. I think the question at the start is probably the most important one! If as a teacher you can’t come up with a good reason for setting homework, beyond the “it’s expected” mantra, then the homework probably isn’t necessary and probably shouldn’t be set in the first place! 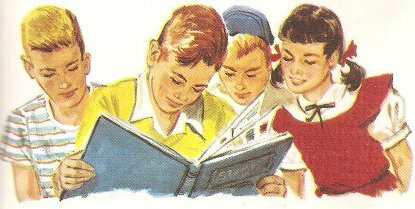 I wrote a short piece about rethinking our relationship with homework a couple of weeks ago http://teflgeek.net/2011/03/29/help-with-homework/ – would be interested in any comments! Unfortunately, teachers, whether overloaded with their own ‘homework’ and other responsibilities, or due to a lack of options, experience, professional development, do sometimes default to the “it’s expected” mantra. It can be the path of least resistance in that respect. As your piece on homework makes clear, the resistance then comes from the students, who feel subjugated or unmotivated by the homework. I enjoyed reading how you suggest teachers might get to know more about learners’ needs and interests in order to make homework tasks more stimulating and engaging. Taking time to better understand learners is time well spent; however, most contexts don’t seem to allow for it. This means that homework tasks can often help everyone in the classroom get to know each other better. Thanks for the reply and the link, David. Teaching in a very EFL environment – Japanese students have virtually no exposure to English outside class – homework of any kind is a way of threading together the lesson based bits of the course to promote some degree of retention. With teenage students I’ve found that setting the homework early in the class can be beneficial, coupled with a 10 minute ‘homework writing’ phase. The students can start their homework in class and I am available for questions, advice etc at the initial stages. This means the students are much clearer on the procedure and while some students complete half the homework before the lesson finishes, it’s still much better than the 0% and excuse mill that I was getting before. Simple production activities – a diary of one thing you did each day has been successful – have also lent themselves well to opening activities in subsequent classes. Simon, the ‘homework writing’ phase you describe is, in a way, the reverse of a short class summary teachers might ask learners to write before we say goodbye to them for the day. While an end-of-class summary aims to increase the likelihood of students recycling and thereby retaining language and information, starting the homework in class primes the task(s) to up the number of completed assignments. In the end, both tasks involve the frequency, recency, and context that Scott (12/04) cites as important ‘experiential factors’ in learning theory, particularly when the next class is connected to the previous homework task(s). classroom time devoted to modelling etc. puts it in their folder or book – never to be looked at again). – linked to what has happened in the class. Hi I can’t seem to find the post you talk about on link you have posted – but would love to have a read if you could dig it up please. Sorry about the confusion. It’s the post I quote (format is sloppy). The link is to the Dogme ELT discussion group homepage. However, the second reason I don’t give homework – and I know that this is a major cop out, and I’d like some advice if any of you have some – but my students DON’T do homework. I have a level C class, that I distinctly remember assigning homework on Friday – a simple “Write 3 questions that you would use to start doing research for a presentation.” They didn’t even have to research! And not a single one of my students did the homework. It is extremely difficult to get students to do homework here, and I honestly tire of punishing them for it. It is of no profit to me in my class, and it is only consuming my energy as I try to enforce consequences. Also, it is often counter-intuitive because I never have full attendance in my classes. Some of the students that come on Monday will come on Tuesday, and some that come on Tuesday will come on Wednesday, but it is rare that I have 17/17 students in my class. How do you counteract these issues when you are designing homework? I agree with not mindlessly giving homework, and I am willing to create tasks that are useful for their language learning, but I find it an annoyance to give homework in my classes. Any thoughts? 2) Not overload them with yet more homework. Perhaps you could have a class discussion about the issue. Or ask learners to make a list of reasons why they don’t do the homework? Would they do that though? Is it possible to have them assign each other homework, or to create un-homework assignments that challenge them to figure out ways to spend less time on homework? For example, they could share study strategies, eg taking breaks, studying in groups, not concentrating too long on a single subject. They could experiment and report back on these strategies. Does any of that sound plausible? I’m in a similar situation with my students taking a full load of credits at the community college where I teach – and my class is a non-credit class! So I have to be very creative in making sure the work gets done. The scholarship program I work for also drives home the message that all scholars are expected to complete assignments, which adds external motivation. But, like the others who’ve posted, I want homework to be meaningful and relevant to the students’ lives. One strategy that’s been very effective for me is connecting my homework tasks to homework from students’ Botany, Math, and other classes. For example, if the students are memorizing the scientific names of plants, I ask them to prepare short presentations of one of their favorite plants along with the assessment criteria their classmates should use to critique/comment on the presentation. Your particular context, and the learners attitudes, beliefs, etc., will determine if any of the suggestions are helpful. I’m sure others might have some ideas for you, too. Don’t forget to pop over to the British Council site for more tips if you haven’t already. It is a crackingly good read and provides useful ideas for useful homework and ammunition against parents and administrators determined that you are simply being lazy for not giving little Johnny large vocab lists to memorise. There are also a couple of articles from the NZ Herald about homework in secondary schools here I’ll dig up later. Yes, homework has not always been as popular as it seems to be in mainstream education today, and there are numerous challengers to the status quo emerging. 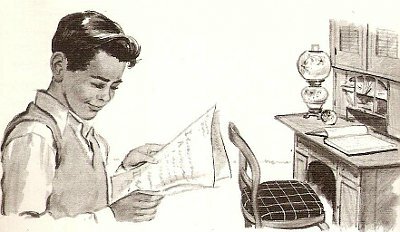 In the U.S., homework used to be seen as a distraction from other ‘home work’, ie chores, in what was then a more agrarian society with fewer young people aiming for a college degree. The Cold War apparently changed that as students were encouraged to create a brain trust larger than their Soviet counterparts. Thank you for the link(s). Alfie Kohn irks me in many ways but the one thing he espouses that always made sense to me was that teachers shouldn’t ever give homework. It should always be voluntary. Homework has been well researched and pegged as doing much more harm than good, if not voluntary. If interested, just google his name + homework for more about the myth that assigned homework helps students learn. Teaching is about creating self directed learners. You don’t really teach but motivate students to learn through the creation of a proper learning environment and curriculum. Forcing students to do homework is just behavioral and really has no place in a world where we now have the opportunity to learn in so many ways. Your tips are great and I think teachers should always leave things more open ended and personal. Despite what I profess, teachers will always face the reality of having to give homework. Many students/parents/schools demand it. But gone should be the days of filling in worksheets, doing exercise x, y, z and “busy” work. However, I was bothered that there was no mention at all of the use of educational technology for setting homework tasks. It is such a powerful tool and I see technology’s role here as much more important than that in class. It fosters self directed learning and further allows the teacher to track student behavior beyond the 4 walls of the classroom (vis a vis the curriculum). It also allows the curriculum to be repeated / recycled outside of class. So many other more personalized and project oriented ways to use technology for homework also. Thanks, David, for your comment – and for reminding us of the potential that educational technology offers in terms of providing out-of-class ‘affordances’ (aka homework!). To me this is the really exciting potential of the internet, Web 2.0 etc – one reason to exploit it – and one reason, also, to reduce its presence in the ‘real’ classroom , reserving that special space for what is best mediated by real, phyically present, human beings, interacting in ways that are fundamental to their shared humanity. Then, around and out of this ‘holy communion’, there are few limits as to what can be achieved in terms of communication and creativity using digital means. But always with the proviso that – for most students – this is going to be the secondary, ancillary language using experience, whose benefits and effects can be truly tested only in the context of face-to-face communication. Well, that’s my take on it, anyway! Let me take this opportunity to thank Rob (who – ironically – I’ve never met face-to-face) for fielding and moderating this very useful discussion. Thanks for raising some very good points. What you’ve written about motivating students to learn reminds me of the adage tat the best student is not a disciple but a heretic. As for technology, I do set homework that involves digital technology, and I suppose I assumed, perhaps falsely, that teachers would adapt the general guidelines I’ve listed to their specific contexts. In addition, I feel someone more tech savvy than myself (You perhaps?) could give some examples of social media and other forms of digital technology for the tips I’ve listed. Definitely agree technology used for self study/independent learning is a great compliment to the classroom and more “people focused” instruction. Though, I won’t go so far as it must be either/or. Technology can be very, very personal and “human”. I just skyped in someone to a classroom and it felt very personal. But in general agree Scott. Definitely will have to write up something about using technology effectively as “homework”. I think it would be useful to many teachers. Your tips would provide a good framework. Seems like many are “doing their homework”! Thank you for sharing those links. It was interesting to compare David Truss’ ideas about homework as a math teacher with the ideas of Larry Ferlazzo, who works in ELT. In my context, an ESL setting, I see potential for language learners to practice English without my setting a task for them to do so, but that might not be the case in an EFL setting or with a Math class. Context is key, as with Larry’s point about not all students being able to afford Internet access. For me, another reminder of how important it is to focus on the people in the room. Scott, thank you for this opportunity. I’ve learned a lot and have really enjoyed reading what other teachers have to say. Brilliant post about a topic which doesn’t get enough attention. It reminds me of Paul Maglione’s definition of HW as the ‘final frontier’ of the EFL world. I know a lot of teachers who rarely give writing HW because they literally correct and explain everything. There is the argument for only focussing on what students have done in the lesson but still the thought of over 100 essays to mark in a week will put off even the most eager teacher. Solutions to this I’ve seen range from student assistants doing marking (also at uni in the UK), each group takes turns in submitting HW or students only write a few lines. What would you advise, especially in cases where teaching EAP or exam writing skills and the fact that many teachers are only paid for the time they teach? Thanks you for your kind words and your comments. As for your question, I’ll try to give a coherent reply at this late hour (after a couple of beers on the plane. 🙂 If writing is the focus of an EAP or exam course, then students will of course need to do some writing. The suggestions you’ve given can work if the volume of correction seems overwhelming. How much and what kind will of course depend on the teaching/learning context. Students often expect teachers to require them to submit essays and other lengthy texts, then correct each and every mistake (orthography, grammar, etc.). So perhaps it’s worth spending some time talking to students about their writing experiences and how they perceive and feel about writing. Doing this has helped me understand the needs of many of my students when it comes to writing and other areas of learning. One of the most important things I’ve learned is that most of my students do not appreciate writing as a process but rather a one off effort to get something written for me to correct. Just getting them to proofread their own work, each other’s work, and to use resources like dictionaries, the Web, etc. improves their writing and leaves less correction for me. Often I only want to see that a student has made the effort to go from a rough draft to a first draft, so I’ll only comment on that process. I also think it’s fine to focus on different aspects of writing in different students’ work. Journals are helpful in this regard because students can write when they feel like it and however much they care to write as homework though it can be good to set some requirements but leave a flexible schedule for completing the task(s). I can collect the journals at different times and focus on what a student has asked me to look at, something that emerged in class, or an important need I’ve/we’ve identified. If there’s a concern about having to take too much work home because a teacher doesn’t feel compensated for it, s/he can use students’ writing for classroom learning, eg a sort of writers’ workshop with teacher as facilitator. And of course exposure to the discourse community the students are entering is essential. Let them meet, if possible, with others who write the types of texts the students need to create, and give them opportunities to notice patterns and language that occur frequently by using corpora, text analysis tasks, etc. First looking at what others have written within the discourse community, perhaps playing some games with discourse patterns, markers, and language might be less threatening, and even empowering, rather than asking students to fill up blank sheets of paper with their own words. In class, students can report on and share what they’ve learned and the teacher can add, question, and encourage as needed. I’m not sure I’ve fully addressed your question, Phil; however, I think all of what I’ve written about here can be adapted to exam and EAP writing. Cheers Rob, some really useful ideas. I like the journals idea. I’ve seen some people who use blogs as journals and each student writes more or less what they want and others cross-post, the teacher too. There are critics who argue against forcing such writing but I think if you talk to them about it , as you say, at the beginning and explain how it can help them but encourage them not just to write gossip but to use some things from class it could work. When I was at uni I remember visiting schools where teachers would give students something to do for an hour while she marked all their homework. This happened everyday as she had too much to do and said it was impossible to give all her students homework for every class she taught. Thanks again, I’m inspired now to tackle things differently. I often wonder about the importance of homework. It seems to me that in certain subjects giving homework is not necessary and only leads to students being resentful. However, when learning English I believe it is very important for students to engage with the language in the classroom. Not only because it helps their learning and expands their knowledge but because it is important for them to know that English is a language that they will come across very often, in many situations. The homework we give them should emphasize this. We can give our students assignments that involve collecting new vocabulary from products they find at home, we can have them answer questions about a news clip in English, they can write opinion pieces on various things. It is important for students to understand that English is not just another subject in their school day, but something they will encounter numerous times in many different situations. I agree that homework needs to be (a) thoughtful, and (b) relevant. Aimlessly setting the end of chapter tasks as homework is not helpful. I am excited to learn from this blog and my current MA studies of ‘less traditional’ approaches to teaching. I feel that your current assessment of “homework” is correct and you have provided helpful alternatives for classrooms (both teachers and students) that are attempting to maximize educational efficiency. Has anybody here experimented with a homework-less classroom? How do you find that the students react? I suspect it won’t automatically be a positive one, especially if they are paying a lot of money for the course!